Owners Steve and Steffanie Anglim have been in the “winery” business for 21 years; the last 15 years in Paso Robles and the balance as “garagistas” in So. Cal. This boutique winery produces a wonderful selection of Rhone wines, sourcing grapes from some of the Central Coast’s top vineyards including Bien Nacido, St. Peter of Alcantara & Hastings Ranch. 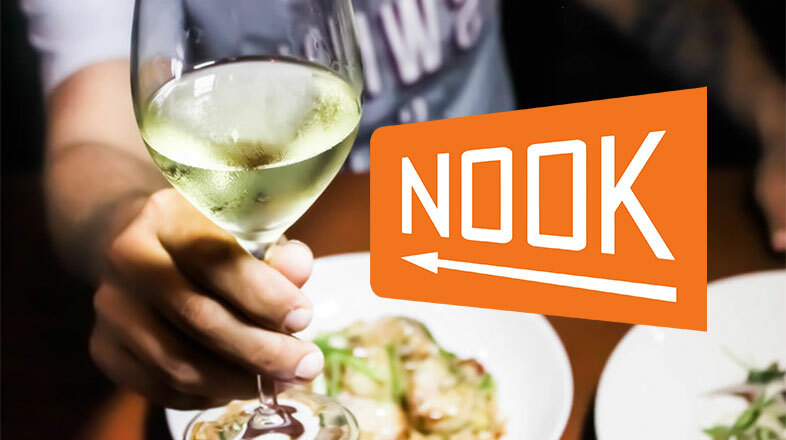 Tonight, we will have the opportunity to enjoy 4 of Steve’s highly rated wines paired with a gourmet multi-course dinner created by Chef Andy and the Nook culinary team. Join us and learn first-hand about Steve’s journey, starting out as a home maker of wine and evolving to one of the Central Coast’s most respected winemakers-a passion + a hobby becomes a successful business! Prepaid reservations are essential, as seating is limited. Cancellations will only be accepted up to 48 hours in advance.